My sister came for a visit this summer. It was a blast. She hadn't been home in many years and she was excited to experience our childhood food memories along with traditional New England fare like fried clams and lobster. 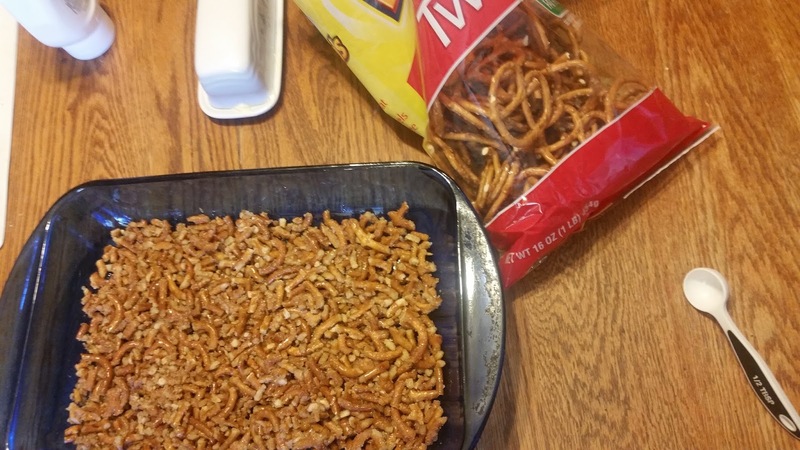 On the day of our cookout, she wanted to make an old family favorite, strawberry pretzel salad. I was glad she did. Though I'm not quite sure why it's called, "salad", it was delicious. She left before we could finish it all and I probably finished half of it on my own. It's a great recipe given to my mom by a friend. I hope you enjoy it as much as I do. My sister took pictures for me as she began making the dessert. I finished making the recipe, forgetting to take pictures of the final product. So I apologize for no final pictures, but trust me, it was good! Preheat oven to 400 degrees. For crust, mix together ingredients and press into a 13X9 inch pan. Bake for 6 minutes. Remove from oven and cool. 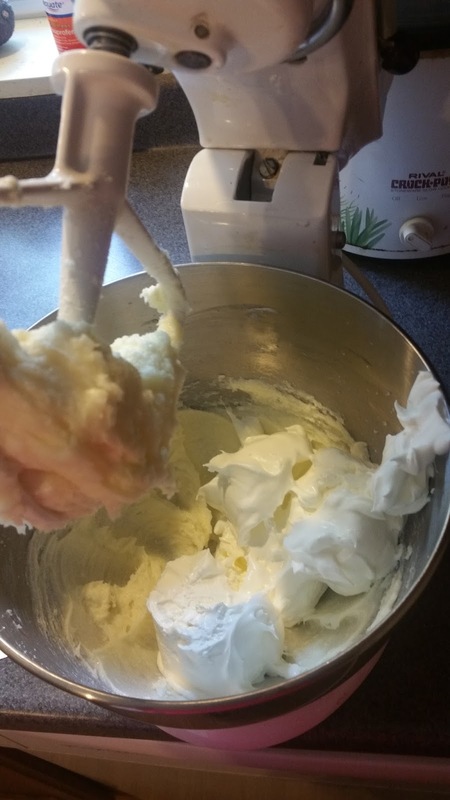 Mix softened cream cheese and 1 cup sugar. Fold in cool whip. Spread mixture over cooled pretzel crust. Prepare jello with 2 cups boiling water. Add frozen strawberries and mix with jello. Pour jello over cream cheese layer and refrigerate several hours until firm. To serve, cut in slices as you would a cake. TIP! Lower fat Neufchatel cheese can almost always be substituted for full fat cream cheese in any recipe.